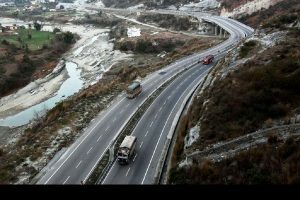 The ‘Queen of Hills’ on Thursday wore deserted look amid the Bharatiya Janata Party’s (BJP) call for complete shutdown in the Shimla with all business establishments including shopping and tourism centres remaining closed. The BJP leaders, along with general public in huge numbers staged protest at Victory Tunnel near Old Bus Stand and Sanjauli and stopped the movement of vehicles for hours. The transport services were also affected in shutdown and locals had to walk to reach their destinations. All the shops on key tourist attractions of Mall Road, the historic Ridge Ground along with areas of the city remained closed as shopkeepers feared violence as tempers are running high amongst protesters. 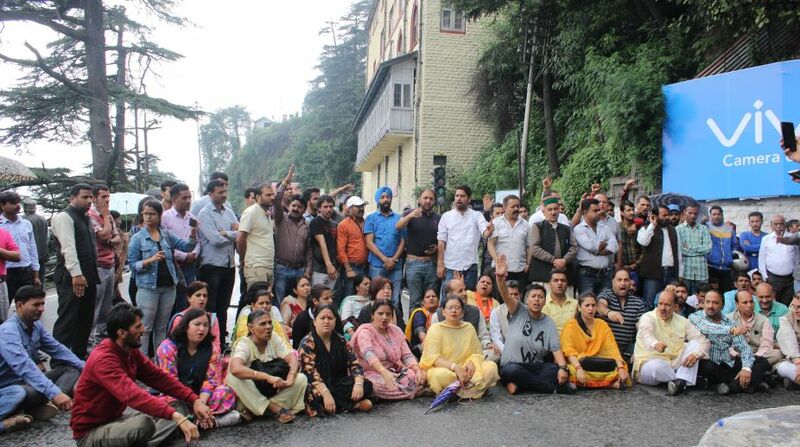 The stone pelting incident was reported at the HP Secretariat at Shimla and the employees were literally held hostage inside the building as all the entry gates were locked from inside fearing violence by protestors. No one from outside was allowed to enter the Secretariat building till late in the afternoon. Some protestors also tried to break open the gates and enter the premises but were stopped by Police officials. The BJP and CPIM held protests on Thursday and submitted memorandum to the Governor Acharya Devvrat seeking justice and accountability for shoddy probe in Gudia case. BJP called on the Governor to intervene as the government had failed to maintain law and order situation in the state. The Police seemed busy in trying to protect the real killers of ‘Gudia’ and is destroying circumstantial evidence gathered from the spots so that CBI cannot find hard evidence against the real perpetrators of the crime, BJP leaders alleged. “It is necessary to impose Presidential rule in the state because the government has failed to perform its duties diligently,” they said, while dismissal of Police officials who mishandled Police investigations in the case.